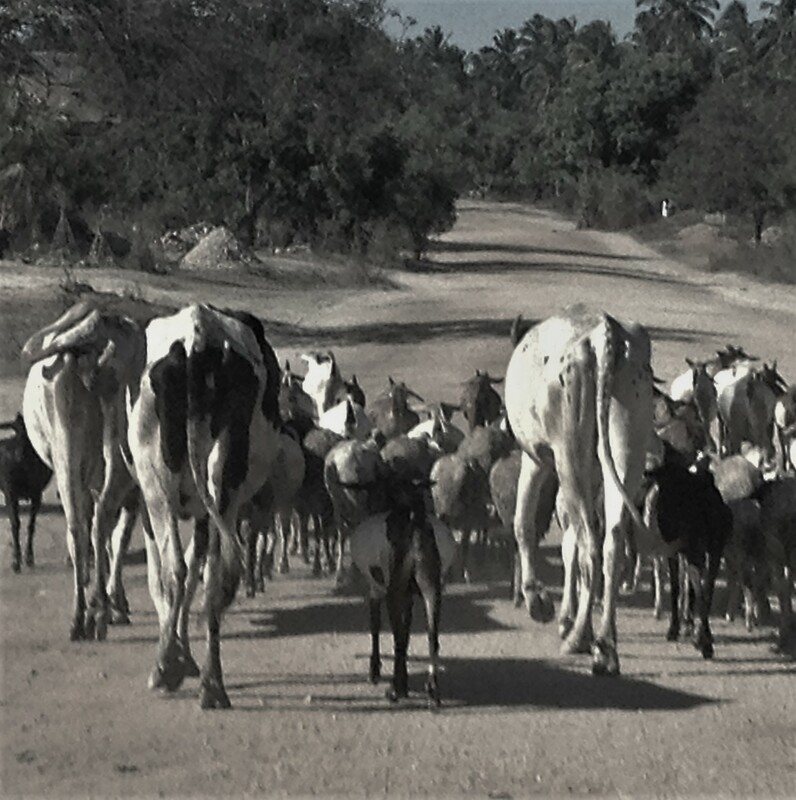 Twice a week I commute from the rural outskirts of Dar es Salaam to centre of the city to where I teach in a school. My not-always-but-sometimes chaotic journey consists of three sections. First a car from Kisota in Kigamboni, along bumpy rural roads, where we sometimes get stuck behind a herd of cows and goats. The middle section is on the Kigamboni ferry, a passenger and car ferry, which is always packed to the gills. And there is always a lot of pushing and shoving as you pass through the gate to get on. But once on board, a moment of calm, with the Indian Ocean stretching out before you, as the ferry crosses the Kurasini Creek towards central Dar. Crossing Kurasini Creek heading for Central Dar. More jostling past commuters with pressed shirts and iphones, dadas with buckets of fish, cyclists with baskets stuffed full of coconuts, piki-pikis, bajajs and cars, as you try to disembark from the ferry. The final part of the journey is either by school mini bus or a bajaj tuk tuk, and I am driven from the ferry port, past the hectic and on some days particularly wiffy Kivukoni Fish Market and through the grid-locked Dar traffic towards my destination, Genesis Schools in Oyster Bay. Pedestrian Traffic Outside the Kivokoni Fish Market. And despite the chaotic nature of the journey, in my 20 years of work, it is one of the most enjoyable commutes I have ever had, and that is over and above other great journeys to work I’ve had, including London, Hong Kong, Damascus and Cairo. Chaos: Dark Skies | What's (in) the picture?